It's really such an eventful week for me. Before the voting session of Uniqlo's Uniqlooks end, here comes another competition that needs your support! 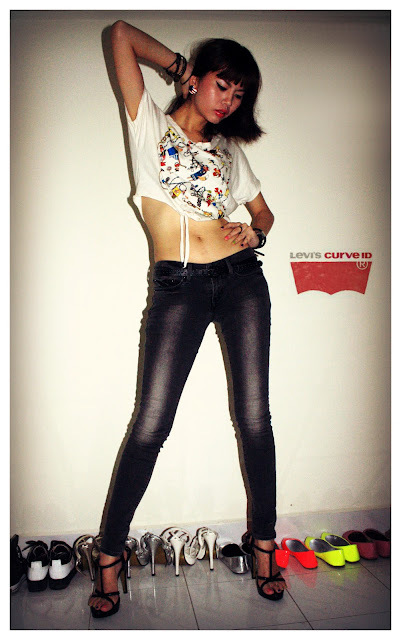 NÜYOU's Levi's Curve ID Blogger Award. Glad to be on their TOP 10 list for this competition. 3) Click on Vote at the very end of my frame of photo. And yes! YOU may be the lucky voter who get selected to win total worth of RM300 Levi's voucher! CLICK ON THE PICTURE TO GO TO THE VOTING PAGE!